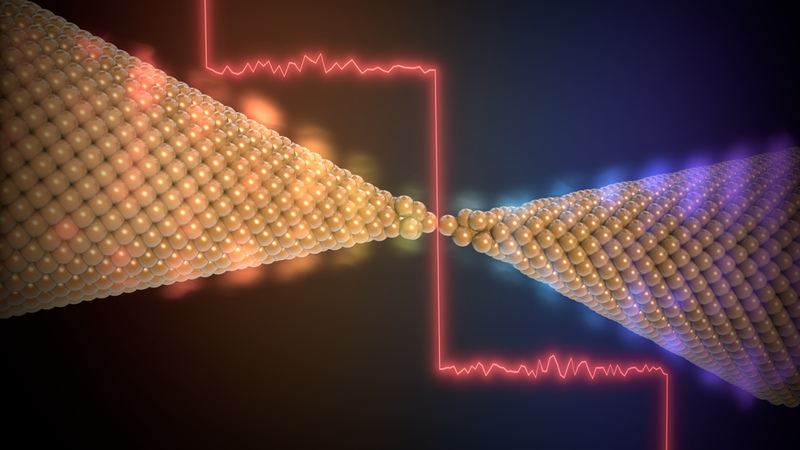 For the first time, a solid proof of the quantized nature of thermal transport in single atom junctions. That’s it. While quantized electrical conductance was pretty well known and proof for quite a while, quantized thermal transport observation was still slipping away from researchers eyes. Until now. A group of researchers from Michigan University, Universidad Autonoma de Madrid and Universität Konstanz have managed to reach the amazing levels of accuracy and stability this measurement requires. This changes the game. And we had the opportunity to make this explanatory video for them with the help of Prof. J. C. Cuevas (UAM) and Longji Cui (UMICH). One of those times when your job pays off. Posted in Animation Video and tagged UAM, Universität Konstanz, University of Michigan.